In Wichita, Kansas, single mother Tiffany McNitt sometimes cries after dropping her kids, aged 2 and 3, at their babysitter’s house on her way to work. It’s not just that she’ll miss them—she worries her children aren’t learning anything and are already falling behind. In Seattle, Tori Gottlieb and her husband agonized over spending 25 percent of their income on day care for their 2-year-old daughter last fall. They didn’t see how they could afford to have the second child they knew they wanted. Parents dread the terrible twos, but what makes the year so tough for many families isn’t just tantrums in supermarket aisles or toilet-training disasters. It’s the difficulty of finding safe, high-quality child care in a country that offers parents limited choices of questionable quality and little guidance on how to make those choices. This neglect could have far-reaching consequences—research shows that a toddler’s daily environment can have a lasting effect on her brain structure for a lifetime. “A child’s experiences not only determine what information enters her brain, but also influence how her brain processes information,” explains a succinct and well-documented summary of the first three years of brain development posted by the Tennessee-based Urban Child Institute. Still, more than half of infants and toddlers in the United States spend some part of their day being cared for by someone other than a parent, according to the National Center for Education Statistics. And at both the federal and state level, the U.S. spends almost nothing on helping American families care for their collective 3.9 million 2-year-olds. The 2-year-old year is the doughnut hole in the early education system: Infants and their mothers living in poverty may receive some amount of support through programs like nurse home visiting, and 3- and 4-year-olds begin to have the option to attend public preschool programs. But next to nothing is done to provide access to child care for 2-year-olds or to regulate it. And while higher-income families can mitigate some of this lack by opening their wallets, care for toddlers is hard to come by and sometimes prohibitively expensive even for the middle class. The plight of 2-year-olds is part of the larger issue of how the country deals with early education in general, but it also represents a specific gap in the paltry system we do have. 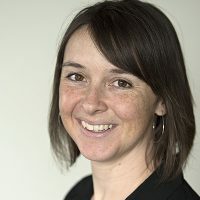 “We fundamentally haven’t made a decision about whether early childhood education is a public or private good,” said Rhian Evans Allvin, chief executive officer of the National Association for the Education of Young Children, an organization dedicated to improving child care. Except, we have decided. 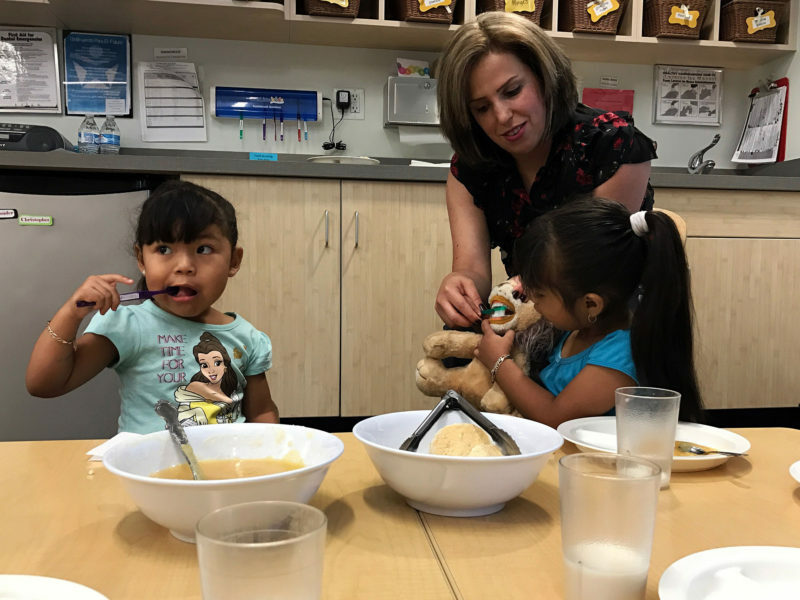 By not providing more taxpayer-funded support, we’ve all tacitly agreed that parents are on their own when it comes to finding care for their children, at least until they turn 5 and head to kindergarten. That’s far later than most developed countries start paying attention. And it’s in spite of the fact that the latest brain science backs up what parents have known intuitively for ages: The early years consist of some of the most important moments in child development. The size of a child’s vocabulary at age 2 can predict his academic and behavioral abilities at the start of kindergarten. School readiness at the start of kindergarten can affect a child’s ability to read by third grade. Kids who read by third grade are more likely to graduate from high school. People who graduate from high school have higher earnings and are less likely to end up in jail. Parents who aren’t in jail and who have the capacity to earn a living wage are more likely to have children with larger vocabularies by age 2. Of course, the care a child receives at age 2 is not the only factor determining her life trajectory. But attentive caregivers who offer the space, time, and materials for 2-year-olds to explore everything their world has to offer can make a significant difference for children at this age. Caregivers who sing with kids, ask them questions, encourage them to create, and keep them safe and well-fed build children’s skills and self-confidence. This contributes to getting them ready to tackle preschool and kindergarten successfully. Model programs boast all of these features, but given the current landscape, most such programs are available only to those who can afford to pay for the privilege. High-quality, center-based care rivals the cost of public college tuition in many states. Currently, funding to help the poor afford care is insufficient and funding to help the middle class is all but nonexistent. Just 0.3 percent of our gross domestic product is spent on public early childhood education and care for children age 5 and younger, compared with an average of 0.7 percent for the European Union, according to the Organization for Economic Cooperation and Development, which tracks international economic trends. We also spend about half as much per child as the average for EU countries. And most of that money goes to 4- and 5-year-olds in public preschool and kindergarten, not to younger children. The result of our minimal investment in 2-year-olds is a stunning lack of access to affordable, high-quality care for families at every level of the socioeconomic ladder. Parents at all levels often feel they have ended up in care situations forced by circumstance rather than selected by choice. Moreover, with parents unable to vote with their feet due to the short supply, private providers have little incentive to keep quality high and states hesitate to make regulations too arduous, lest they end up tightening the market even more. Whether private providers are nonprofits, like the YMCA or a local church, or for-profits, like KinderCare or Bright Horizons, the programs have to cover their facility and labor costs. Toddlers require more adult supervision than preschoolers, making 2-year-old care significantly more expensive than 4-year-old care. Many private child care programs don’t bother with younger children, since it’s far less lucrative than care for older children. Of 3- and 4-year-old children in child care, 41 percent receive private-sector care rather than publicly funded care. (In this case, 3- and 4-year-olds are the only similar age category for which this data is available.) Since so much public funding goes to older preschoolers, the private sector is likely an even bigger player in the 2-year-old care market. In large part because of the lack of options, hundreds of thousands of young children of all income levels are spending much of their days in insufficient or even unsafe conditions while their parents work; 75 percent of infants in center care and 93 percent in home-based care are in low- or mediocre-quality care settings, according to Zero to Three, a nonprofit advocacy group focused on young children. Those numbers likely hold for toddlers because nonparental care options don’t increase significantly until age 3. Advocates like Cole say the time to invest is now. The payoff for changing that status quo could be huge. Nobel prize–winning economist James Heckman has shown that the highest monetary return on investment comes before children even start preschool—that is, the more a society spends on its youngest citizens, the more it earns back over time by helping prepare kids for self-sufficient lives in adulthood. Economists’ estimates of the actual return range from $3 to $16 dollars in savings on public services and revenue from income taxes for every dollar spent on early childhood education. McNitt and Gottlieb, who sit at different points on the economic spectrum, agreed that more government assistance with the cost of high-quality child care would have helped them. 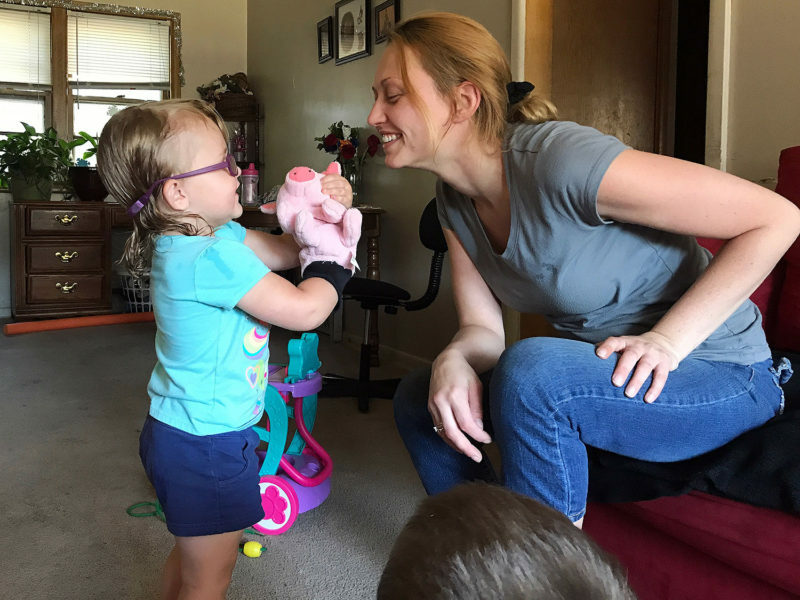 McNitt qualifies for direct financial aid to help her cover the cost of care for Alexis, 2, and Coltin, 3, but there is so little funding available that she is unlikely to receive it. She’s currently on a waiting list to get Alexis a spot at her local branch of Early Head Start. The federally funded care and education program only has enough money to serve 6 percent of eligible children nationally. 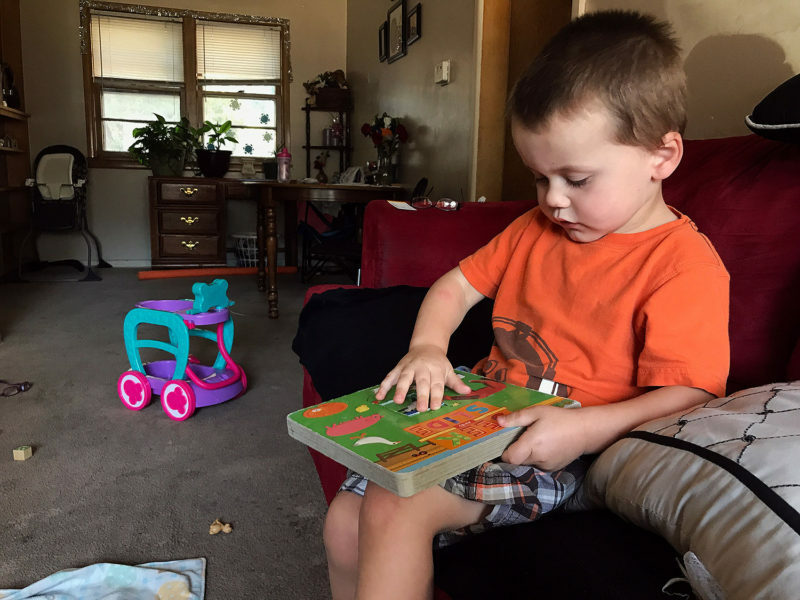 Coltin, 3, has a slightly better chance of getting into Head Start, the program for 3- and 4-year-olds, which is able to serve 31 percent of eligible children nationally. While she waits, McNitt pays her cousin $200 of her $1,080 monthly wages to watch her children. She says her cousin is “good with kids,” but she’s not sure that’s enough. Mothers like McNitt, who do not have a college degree, are actually significantly more likely to consider learning experiences available at a care provider very important than mothers with a postsecondary education, according to data from the National Center for Education Statistics. Without those Head Start spots, though, McNitt’s choices are limited. She earns $7.50 an hour testing car and boat harnesses to support herself and her children and to bring some money in for her ailing father. Recently, she was searching for a place with more books and other activities for Alexis and Coltin; one nearby center told her it would cost $800 a month to send both children, financially impossible for her. As many as half of working parents chose informal, unregulated care for their young children, according to a 2016 study of the cost of child care by Child Care Aware, a nonprofit organization that tracks child care trends and advocates for more generous child care policies. Infants and toddlers are most likely to receive informal care and a majority of care providers are relatives, especially grandmothers. 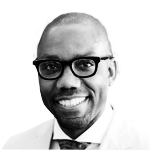 While McNitt’s cousin and many of the grandmothers watching young children are probably perfectly up to the task of keeping children safe and fed, research has shown that informal care is less likely to prepare children for school than licensed home-based or center-based care. Most informal care is entirely unregulated, meaning that quality varies widely. Twenty-seven states allow fewer than five unrelated children to be watched in a home by a care provider with no license or training, according to Child Care Aware. Only 11 states require a license for anyone receiving compensation to watch even one child who is not their own. Gottlieb and her husband are not eligible for any public assistance, despite the fact that child care for two children, even with the sibling discount for their second child, would gobble up nearly 40 percent of their family income. They ultimately decided to have a second child anyway. The new baby arrived this fall, making them a family of four. Before she came, they thought they might be able to find a less expensive care option than the day care their older daughter attends (which they love). But Gottlieb said there was nothing else nearby that took infants and met their standards as a place that would provide their children with the safety, nurture, and educational experience they were counting on. Having one parent stay home wouldn’t have solved the money problem, she said, because the cost of care was enough that it would have nearly erased either single income meaning they’d be stuck trying to live on half their income regardless. Plus, they’d be sacrificing retirement savings and possible raises for however long one of them was out of work. They’d also be more reliant on one person’s job not evaporating in a surprise round of layoffs or some other unpredictable situation—a riskier proposition on a tight budget. Moreover, Gottlieb said, both she and her husband enjoy their work and would prefer to stay employed. They looked into taking a home equity loan to cover the extra day care costs but were hesitant to put themselves further in debt. Finally, her father offered to cover the cost of the youngest child’s tuition for the 19 months the two children will be in care at the same time. Patricia Cole, senior director of federal policy at Zero to Three. Gottlieb and her husband are not alone in struggling to pay for child care, despite earning solid middle-class salaries. The cost of private, center-based child care varies wildly—the same infant could cost $17,082 per year in Massachusetts and just $5,045 per year in Mississippi—so it’s impossible to talk about prices on a national level. (Though infant care costs slightly more, it is a good proxy for 2-year-old care costs, which aren’t tracked independently.) Still, the U.S. Department of Health and Human Services has determined that “affordable” care is care that costs less than 7 percent of a family’s income; for a family making $100,000 annually, that would be $583 a month. Only seven states had average rates that low for center-based infant care (22 met that bar for home-based infant care), according to Child Care Aware. Of course, most families don’t earn $100,000 a year—$59,039 is the national household median income. In 49 states and the District of Columbia, center-based infant care is unaffordable for those earning the state median income. And even home-based infant care, which is cheaper, is still unaffordable in 45 states and the District of Columbia. The current child care tax credit does little to reduce the burden by crediting middle class families for just 20 to 35 percent of $3,000 per child, a fraction of annual child care costs in most states. Plus, the credit can only be used for a maximum of two children so the largest possible kickback is $2,100. It’s also nonrefundable, meaning it doesn’t help those who owe no taxes. As a candidate, Donald Trump proposed increasing the child care tax care credit, but that increase was not included in his administration’s September tax overhaul proposal, nor has it appeared in House or Senate proposals. Instead, Republicans are now suggesting an increase to the child tax credit, which is a benefit to anyone with a child and which currently maxes out at $1,000 depending on the taxpayer’s income bracket. Critics have pointed out that such a change will only help families making enough money to owe taxes, and unless the increase is significant, it won’t even help them much either. Most new parents sitting at the kitchen table trying to make the child care math work are millennials (born between about 1980 and 2000) who have already shown a taste for more European-style family policies. Highly educated young workers at tech companies like Google and Facebook have been part of the driving force behind the increasingly generous parental leave packages that have come to be the norm at big, corporate firms competing for top talent. Those benefits haven’t reached most of the working population, however, and hourly workers as a whole tend to have no legal guarantee of parental leave, let alone help paying for child care. Still, millennials might be the generation to tip the scale in favor of more government support for young children by pushing for a change in state and federal regulations, said Kris Perry, executive director of the First Five Years Fund, an organization dedicated to educating politicians on both sides of the aisle about early childhood policy. While advocates push for increasing the child care tax credit, expanding Early Head Start, and providing family-friendly policies that could move the needle on both access and quality, some educators are pulling together brick-and-mortar solutions. In one innovative Phoenix school, long rows of classrooms enclose a central courtyard complete with a playground, a garden, and a bronze sculpture of a lizard to climb on. In the toddler classroom, Victoria, 3, spent an April day eating breakfast, playing house, comforting a friend with an “owie,” listening to several stories read out loud, blowing bubbles outside, finger painting, and, finally, taking a nice long nap. This is what life is like for children enrolled in Educare, a program that provides free care to children living in poverty from infancy through preschool. The program, which has 21 sites around the country, has been lauded as a model of high-quality early childhood education. 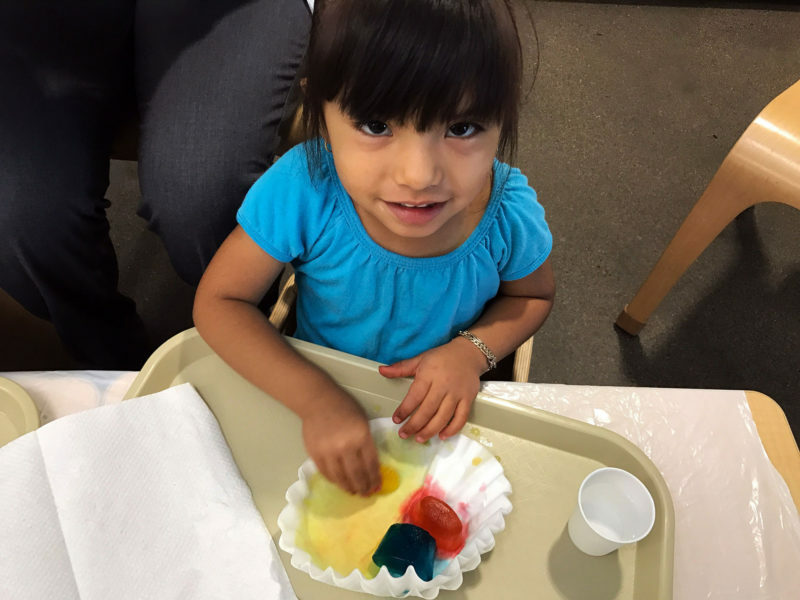 In every city where the program exists, the national organization partners with Head Start, the state, or local preschool program, and other community-based stakeholders work together to cover the cost of a year’s tuition—an average of $22,000, with significant regional variation. Educare keeps quality high by offering ongoing professional development, engaging families to extend learning opportunities at home, and using data to inform classroom practice. And it works. 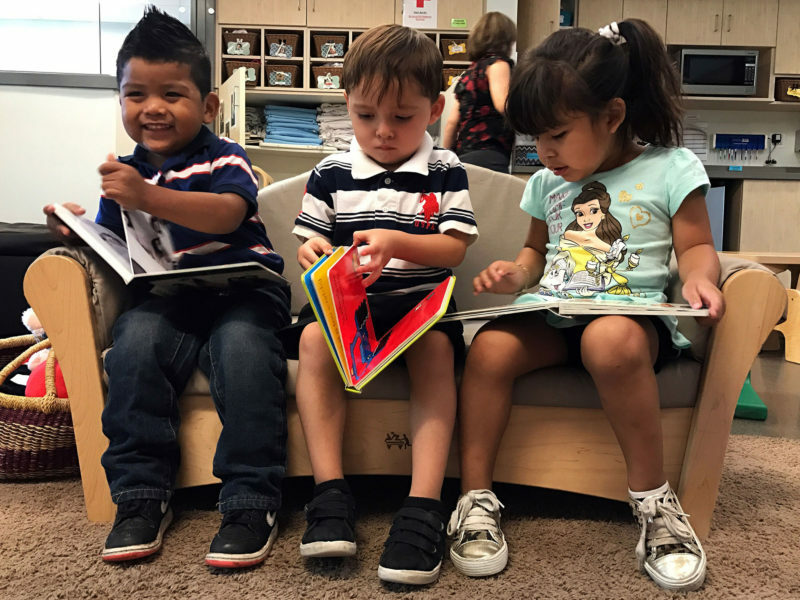 The results of a decade long study show that children who start in Educare by age 2 improve their vocabulary and self-control and have more involved parents when they head to kindergarten at age 5. Educare students, including English language learners, outperformed their low-income peers on vocabulary assessments—and the earlier they started at Educare, the better they did on the assessments. 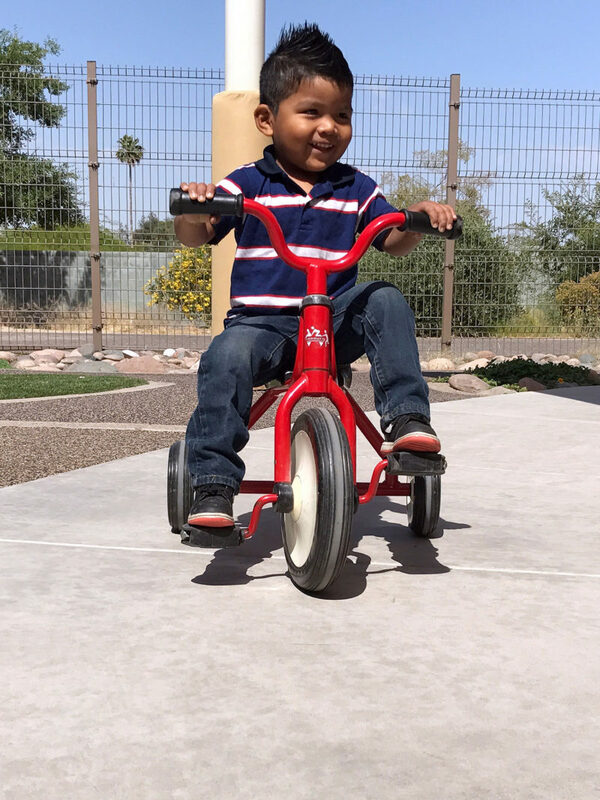 Alejandra Nava, the mother of Esteban, 3, said the Phoenix-based Educare was a huge help to her. Her five older children had no such option, she said, and she can see that it is making a difference for Esteban. He has learned how to conduct himself in a classroom, improved at taking turns, and speaks more clearly. And Nava, who earns some money selling tamales, now has time on her own to buy groceries, go to doctor appointments, and keep up the house. As a result, she said she is able to spend more focused time with Esteban when he is with her. The chance of finding the level of national political will that would compel lawmakers to spend such a massive amount of taxpayer money any time soon is about the same as the chance that your favorite 2-year-old memorizes a Shakespearean sonnet tomorrow. But if some change isn’t made to how we treat this important, and oft ignored, age group, we could pay the price … eventually.